A recent study was conducted by Korea’s Kyungpook National University’s Department of Immunology which was published in The Journal of Dermatological Science. It revealed a new Mechanism of Minoxidil which activates the Beta-Catenin pathway in derma papilla cells, which is one of the two different cells which aids in the growth and development of hair. It was announced by those performing the research that this particular mechanism may possibly be the reason for the anagen prolongation effect. The duration of growth in the anagen phase (time of continual growth) is what develops hair length. The researchers underscored the fact maintenance of the activity of Beta-Catenin for the dermal papilla cells (DPCs) aids hair follicles to actively grow. 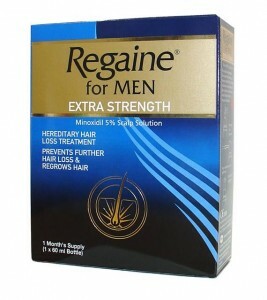 Minoxidil (Rogain) gives growth remedy for male pattern baldness which suggests it can enhance the growth phase in the life cycle of hair. A mouse model was used for the study using 3% minoxidil for a ten day duration. Beta-Catenin responsive TCF reporter plasmid was used to transfect DPC’s. The results revealed the anagen phase was extended significantly after the use of minoxidil. The researchers came to the conclusion minoxidil prolongs the activating Beta-Catenin anagen phase in DPC’s and has the potential to be a primary pathway for hair growth or the prevention mechanism for hair loss. A study like this helps to enhance our comprehension of hair loss and growth. Over time this can help the field of hair restoration providing more options to confront hair loss with greater sufficiency.